Santiago de Compostela was declared part of the Cultural Heritage of Humanity by UNESCO in 1985. It is home to one of the oldest universities in Spain. The old quarter, one of the most important and best preserved in the entire country, contains monuments from the Romanesque, Gothic, Baroque, Neo-Classical periods. As a city heavily influenced by a major university, Santiago offers an active cultural life. During the entire year it plays host to regular concerts of classical and modern music, works of theatre and cinema, and exhibits of art. From Santiago it is easy to get to the nearby seaside towns with their wonderful beaches, off the beaten track from heavy tourist traffic. Visitors can also enjoy concerts and exhibitions in the many pubs and night clubs located near the city’s important monuments. In the old quarter, picturesque bars specialize in regional wines and “tapas”. 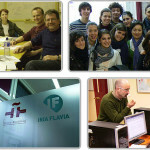 The Iria Flavia Spanish Language School has been offering Spanish Courses in Santiago de Compostela since its founding in 1994. This small and friendly Spanish school is located in the historic district of the city, only a few yards from the cathedral. The average number of students in the Spanish language classes is 5 with a maximum of 8 students per class. The school has a maximum capacity for 66 students. This arrangement creates an intimate and pleasant atmosphere for learning in which it is easy for students to interact with each other. In addition, they have designed a Language Exchange Program with local Spanish students, so that visitors from other countries can get to know native speakers and profit as much as possible from their Spanish courses in Santiago de Compostela. All teachers on staff hold university degrees in Spanish Philology, with specialization in the teaching of Spanish as a foreign language. Teaching methods are based on the communicative approach. Special emphasis is placed on conversation, so that students can make themselves understood in Spanish right from the start. The Spanish courses combine the study of grammar and vocabulary with practical work in Spanish conversation and pronunciation. Complementary activities include debates, role plays, literary texts, newspapers, audio tapes, and videos. Class size is limited to 8 students in all courses. Class hours are 60 minutes long. All prices include: number of Spanish lessons as specified below, administration fee, use of teaching material, guided tour or the city, free use of audiovisual facilities in the school, free internet access and a Certificate of Completion at the end of the course. Each lesson is 45 minutes long. Minimum age: 18. Standard Spanish Course – Group 8 — Maximum of 8 students per class. 20 Spanish lessons per week. 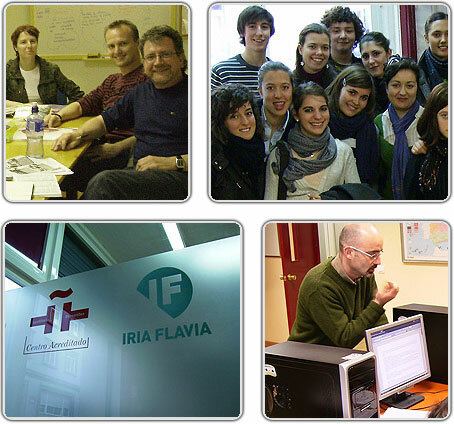 Intensive Spanish Course – Group 8 — Maximum of 8 students per class. 25 Spanish lessons per week. Intensive Spanish Course PLUS – Group 8 plus 5 Private Spanish lessons — Maximum of 8 students per class in group portion of program. 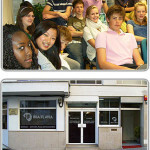 25 group Spanish lessons per week PLUS 5 One-to One Spanish lessons weekly. 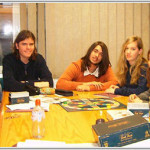 One-to-One Spanish Courses – Private lessons. Minimum 5 lessons per week. Price 2018 and 2019: USD 38.00 per lesson (each lesson is 45 minutes long), plus a USD 57.00 enrollment fee. 2019 Starting Dates for all group Spanish Courses: Starting dates for all levels. Complete Beginners may only start on BOLD* dates: 7*, 21 January; 4*, 18 February; 4*, 18 March; 1*, 22 April; 6*, 20 May; 3*, 17 June; 1*, 15, 29 July; 5*, 19 August; 2*, 16 September; 7*, 21 October; 4*, 18 November; 9* December. Holidays 2019: 1 to 6 January, 18-19 April, 1 May, 17 May, 24 June, 25 July, 16 August, 1 November, 6 December. The school will be closed from: 19 December 2019 until 6 January 2020. Group classes lost due to Holidays are NOT made up. One-to-one lessons on the Intensive PLUS and One-to-One lessons are made up during the rest of the week. 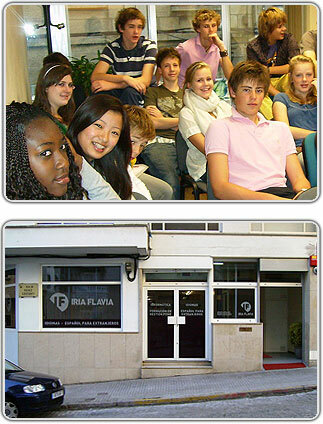 Iria Flavia offers accommodation in carefully selected host families, shared apartments with other students, studio apartments and hotels. Half board includes breakfast and lunch daily, full board includes 3 meals per day. Laundry is included in Host Family pricing. Note: Double rooms are available but can only be booked by two students traveling together, please contact us for pricing information. Hotels, private student residences and studio apartment accommodations are also available. Prices available upon request. Special diets (vegan, gluten free) are available upon request for a supplement of USD 64.00 per week. On the first day of classes, the Center invites all students to a guided tour of the city, followed by wine and ‘tapas’ at a typical Spanish bar (this activity will only be held if there is a minimum of 5 students). The Center organizes at least 2 of the following activities each week. Talks about social and political issues in Spain: ‘The Civil War’, ‘Franco’s Dictatorship’, ‘The Political Transition in Spain’, ‘Nationalism in Spain’, ‘Stereotypes of Spain and the Spanish’, ‘Women’s roles in modern society’. * Note: these activities will be offered only if a sufficient number of students register. Airport Transfers: transfers from the Santiago de Compostela are available at additional cost: USD 39.00 one-way / USD 77.00 round trip.